There are so many gorgeous leaves falling near our neighborhood, I just had to scoop them up and make something fun. For a while now I’ve wanted to try stitching right through them and it turned out so festive! 1. You’ll want to rinse your leaves and pat them dry before you begin. 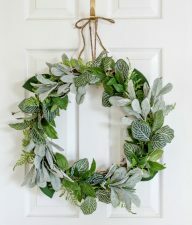 This will help with keeping them bright and the garland will stay clean as you work. 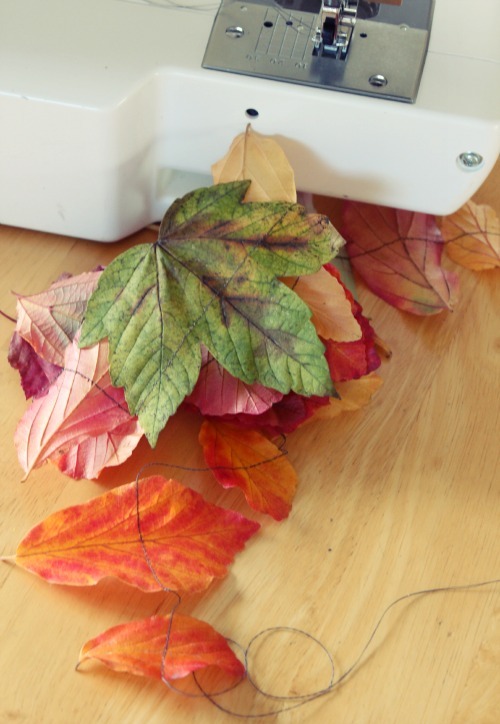 NOTE: Don’t let your leaves stay out for too long before you begin stitching them. They will start to get crispy. To help prevent this, if you’re not ready to stitch just yet, either keep them outside or put them in a zip top back or place a wet paper towel over them. This will keep them fresh for stitching. 2. 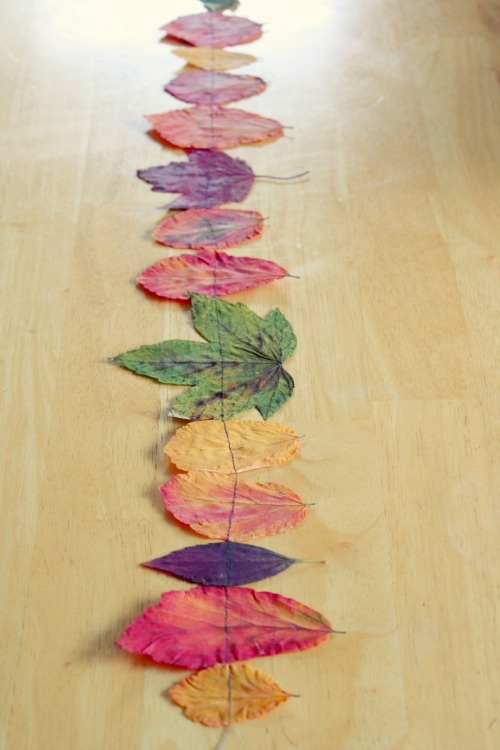 Line up your leaves in the order you’d like to stitch them. This is where you can get creative. 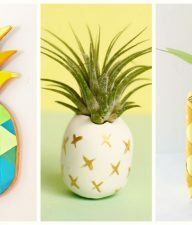 It can be a pattern, random, all the same leaves, or a mix of everything. 3. 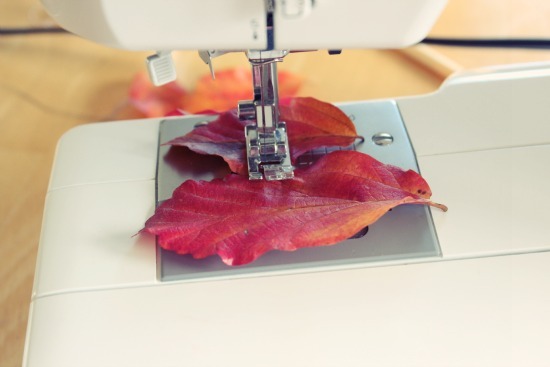 Place your leaf under the needle of your sewing machine and begin to sew through it. 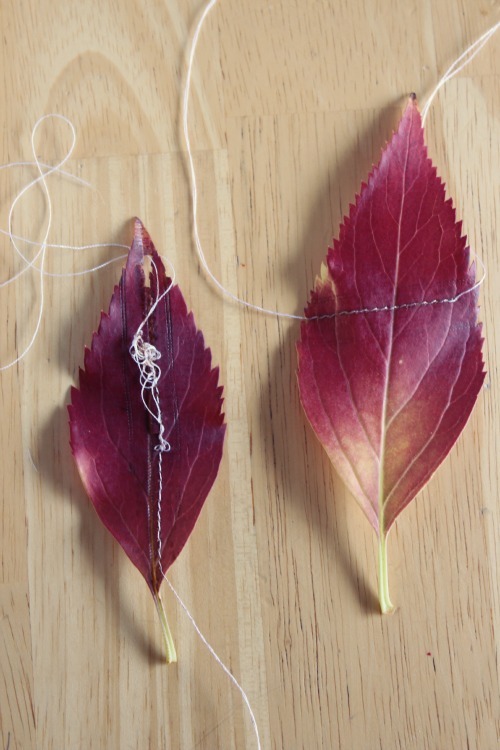 You can stitch a few stitches in between each leaf or you can stitch them right next to each other. 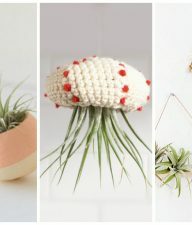 *See below for a couple different ways of stitching. I tried it lengthwise and it didn’t work to sew it up the stem of the leaf. I kept to just sewing it horizontally. 4. 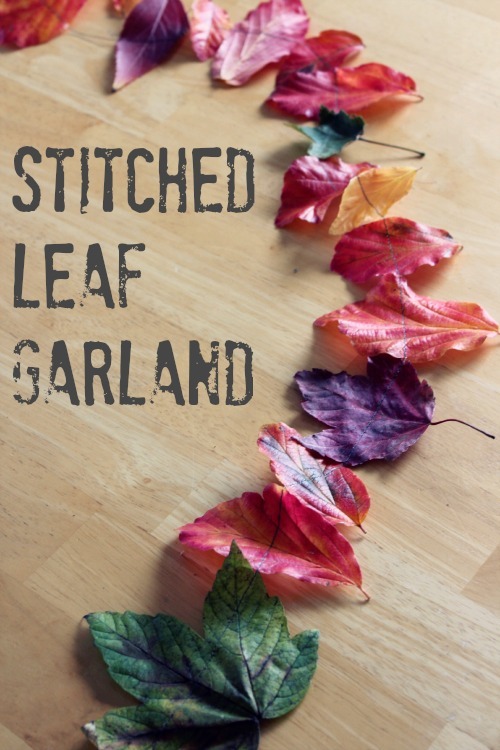 Keep stitching through your line of leaves until they are all stitched through. This can be as long or short as you’d like. 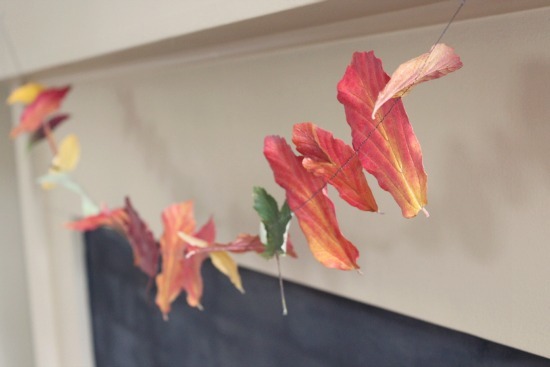 You can hang your garland right after you sew and it will give off a curly type look. Just note that it will dry this way and start to curl a little more than you may want. This is a really fun look, but may not preserve for more than one season. 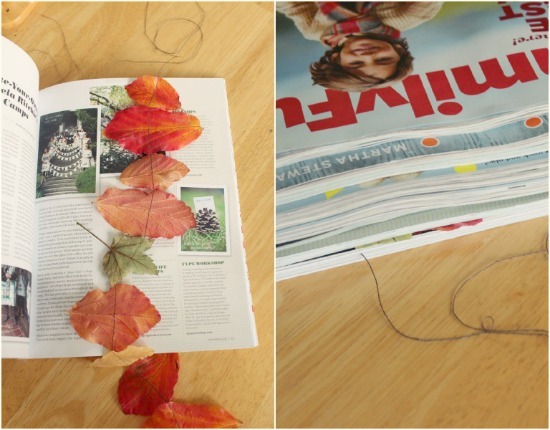 Or you can press and dry your leaf garland inside a few magazines for a few days before you hang it. 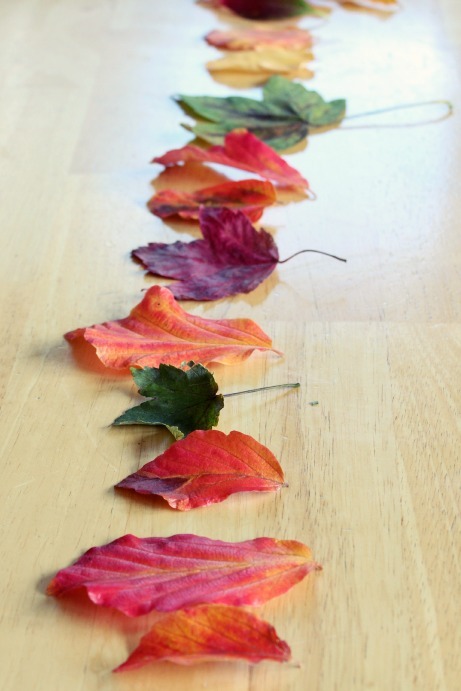 If you press and dry your leaf garland, it will have a flat look. 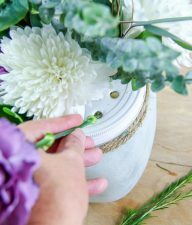 This method will help your garland last for longer once it’s dried, as you can store it easier and use it again and again. Have fun stitching through leaves. It’s quite addicting with so many beautiful leaves falling all around! So cute Marie, I love it! What a fabulous idea :) Might have to give this one a whirl one year. Off to pin! I LOVE this tip! Thanks for commenting! So simple and beautiful. Love this! Thanks, Liz. For the sewing, this project is so easy, you just sew in a line! You could do it! !